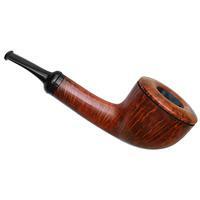 Gabriele dal Fiume specializes in softly-rounded shapes, though this bent Pot toes the line between supple and structured. 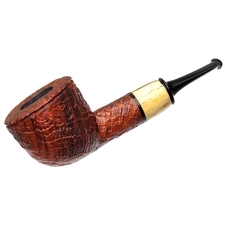 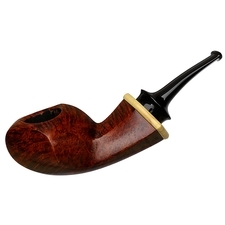 The former comes in the form of a Danish style of lifting heel, along with the mild turn to the stem, and a sleek line of shank. 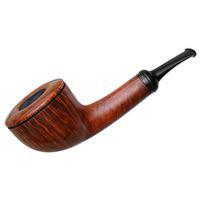 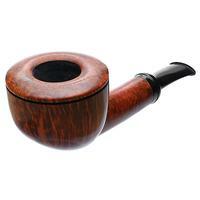 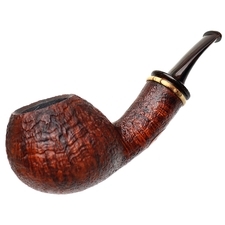 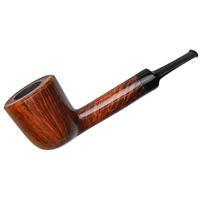 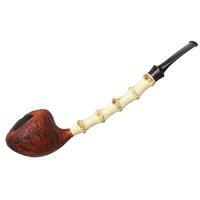 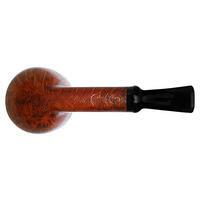 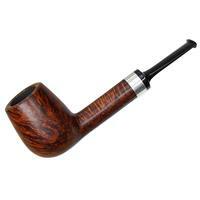 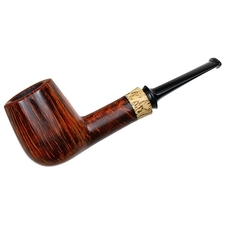 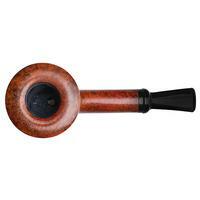 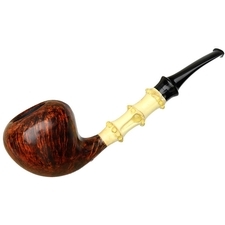 The latter comes in the upward-jutting lines of the bowl, with a crisp, well-defined beadline just below the rim. 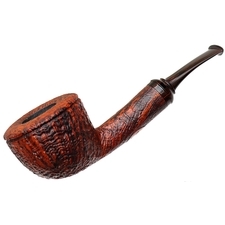 The result is uniquely Gabriele's work, and that it comes along with a stunning display of flame grain should be no surprise at all.